Without doubt, the future development of Mariupol is an interesting topic of study. A city is not only buildings, but also the people. One of the most industrialized cities is in fact not a ‘typical giant’ that possesses factories and life consisting of eight hour shifts, 24 hours a day. 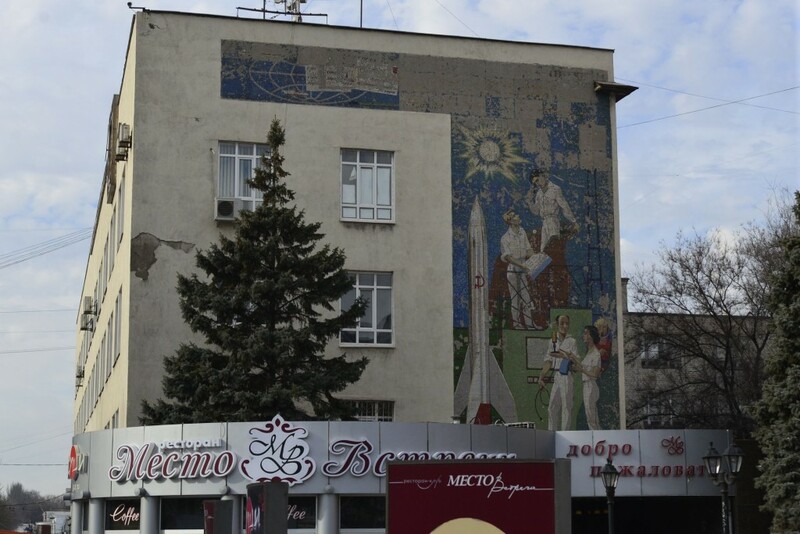 Mariupol is a city where many different stories have started. 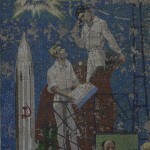 For example, the story of muralist Victor Arnautoff, who spent his childhood and youth in Mariupol and later became a professor at Stanford University. 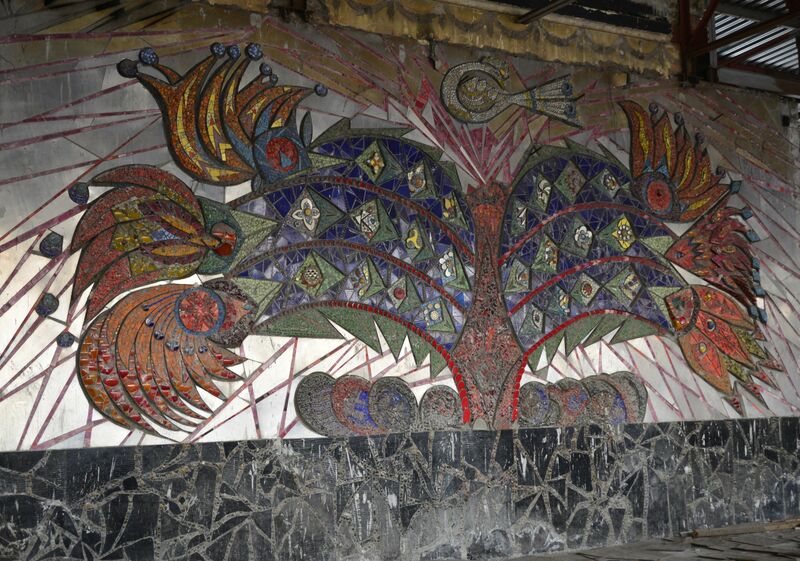 Having studied with Diego Rivera and worked in America for many years, he returned to Mariupol and created several monumental masterpieces on the walls of the city. There are a few of his works left in the city to this day, but they all are in need of help and restoration. 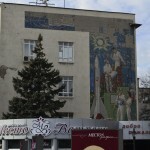 One of the best muralists in Ukraine also worked here in Mariupol: Alla Horska, who created her works in spite of the political system surrounding her. Art in the form of protest. Monumental art is a double-protest. Expressing her position with the help of cobalt, glass, and ceramics, Horska created works that formed ideas of the future. One of her works is called just that – The tree of Life. These views of the future are the targets of the interventions which will be strengthened during the residents’ second Architecture Ukraine trip to Mariupol. Their work today is a close collaboration with the local context, people, politics, culture, society, geography, etc. It is in these variables that ideas, which continue to live on, arise without outside inference and in spite of everything else.